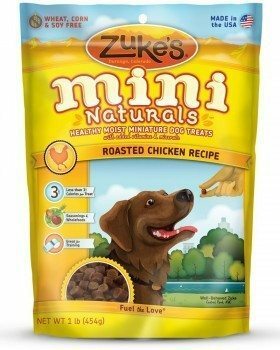 If you’re in a hurry, check out our top pick, Zuke’s Mini Naturals Healthy Moist Training Treats. 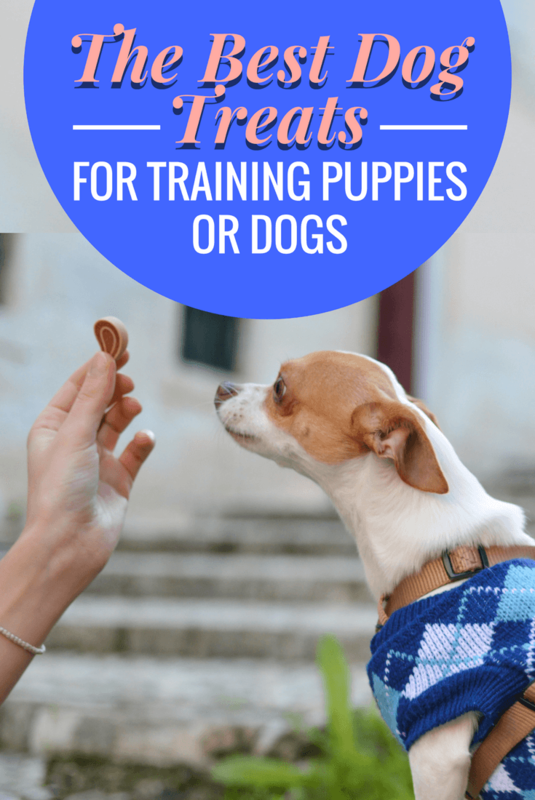 Whether you've got a brand new puppy to train or you want to refine your older dog's behavior, whether lure and reward training, or clicker training, treats are a brilliantly useful reinforcement tool to use during training. 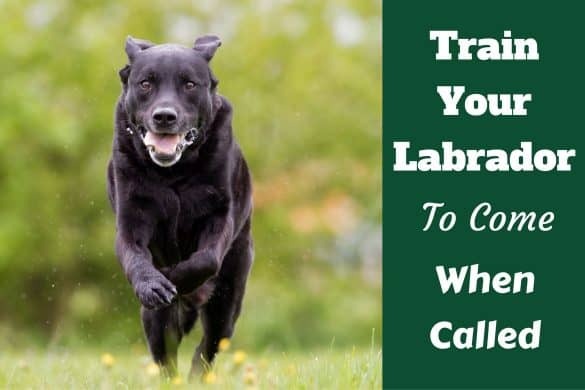 Most dogs absolutely love food, Labradors especially, and so the lure of a treat will persuade them to focus and respond correctly to your commands to earn the occasional treat. 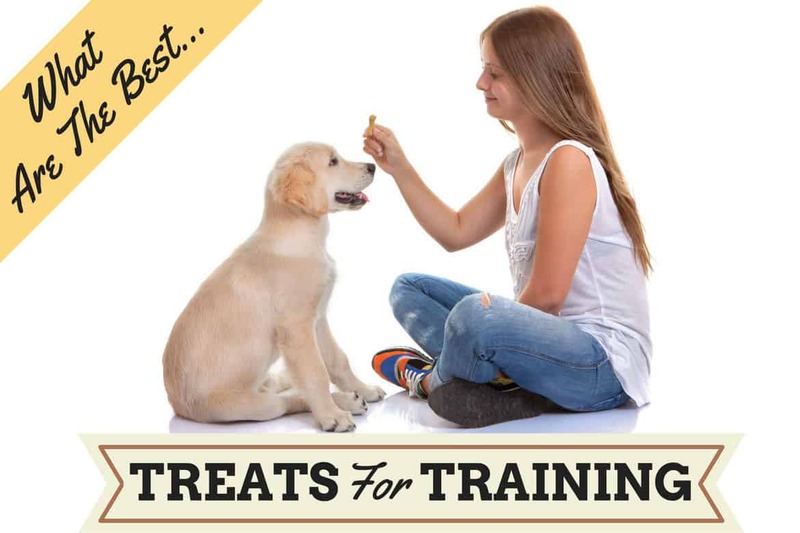 A very important thing to consider before using treats during training is which you should use to get the best responses from your dog. First things first, taste is imperative – your pup needs must be excited by the prospect of the treat so you may need to use a little trial and error to find the perfect reward. Don't Forget The All Important Treat Pouch! In general, owners should aim for a good mix of low-value and high-value treats: low-value treats to use often for average responses and high-value treats for when you need a stronger lure or when your dog responds particularly well and you want to give a BIG reward! A good variety of treats will also make sure your dog stays interested in their training. 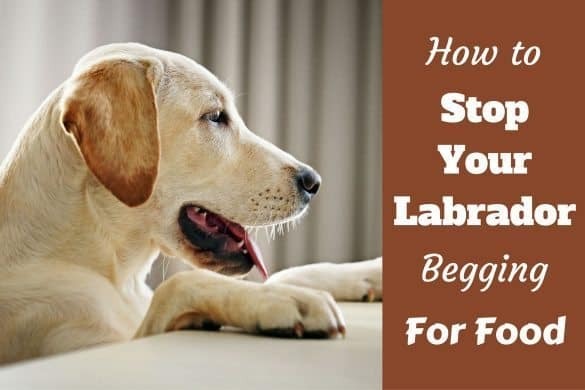 An example of a low-value treat would be your dog’s kibble while a higher value treat would be a little something from your fridge – perhaps some boiled chicken or a little cheese – or a healthy and tasty commercially made treat. Some owners may prefer to opt for homemade treats such as biscuits and patties. While this is all well and good if you have the time and are prepared to put in the effort, commercially made treats will work just as well as a training tool and, if you buy with a little prior knowledge, can be super healthy and really excite your pup's taste buds. Size – The treats should be as small as possible so your dog can eat them super-quickly and doesn’t become too distracted from his training, and so they don't end up eating too many calories. Convenience – The treat should be easy to carry in your pocket or bait bag and definitely not greasy or crumbly. A 'clean' treat that holds it's shape well is best. 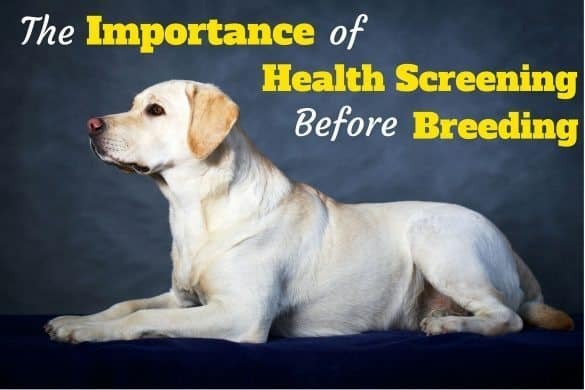 Healthy – It's a truth often forgotten that dog treats should be healthy and perhaps even able to supplement your dog's normal diet with added health benefits. Delicious – Obviously, this is more subjective but your treats must excite your dog otherwise they will not work as a training tool. Whether you pick a treat with crunch, sweetness or a meaty texture is completely up to you – just make sure that your dog loves it! Don’t forget to feed your dog a little less of his regular food. You don’t want to end up with an overweight pup by treating while training! With the above point in mind, treats should never constitute more than 10 percent of your dog’s diet. Treats are healthier for your dog than table scraps due to the herbs, spices, salt and so on that we add to our food. So if you're tempted to save 'leftovers' to use during training, please don't. Zuke’s Mini Naturals are a great all-round training treat that your pup is sure to love. They’re healthy, a great size and won’t break the bank at just a few dollars per bag. These are the no.1 best selling training treats on the whole of Amazon and have over 2,000 5-star reviews! Made with real chicken with no added wheat, corn or soy fillers like many treats on the market, Zuke’s are bound to excite your dog with their meaty, wholesome flavor. Salmon and peanut butter flavors are also available if you think they might pique your dog’s interest. They're certainly worth experimenting with. These treats are also on point nutritionally so you don’t need to worry about your dog packing on the pounds if you’re rewarding them little and often (although it's always a good idea to keep tabs on how much they're eating!). Made of natural whole food ingredients sourced from right here in the US and even supplemented with added antioxidants, these small-sized treats are just 3.5 calories each. In terms of their suitability for use during training, their pea-size shape and quick-to-digest texture and flavor means that they are a quick reward that won’t distract your dog from his responses. The treats promise to hold their shape well in your pocket or bait bag so you won’t get any horrible grease or residue over your fingers or possessions. They also come in a resealable ziplock bag to guarantee their continued freshness. Just like Zuke’s, the Wellness WellBites are a great all-round training treat – healthy, reasonably priced and irresistibly tasty. The flavor and taste of these wholesome treats are sure to catch your dog's eye: Each of the product lines are made with grains, fruits, vegetables and two types of fresh American meat. Flavors available include beef and turkey; chicken and lamb; chicken and venison; turkey and duck; and lamb and salmon. Boasting credentials of 100 percent wheat free with no added corn, soy or artificial colors and flavors, these treats would be ideal for dogs suffering from allergies. 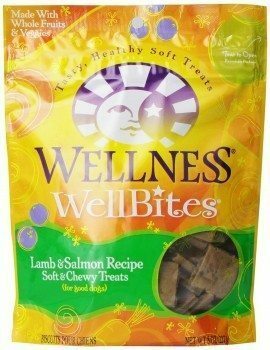 The Wellness WellBites would certainly be an easy addition to your training arsenal as they are soft and chewy. Although they're not as perfectly sized as Zuke's above, they are easily divided into the smaller portions required for effective training. 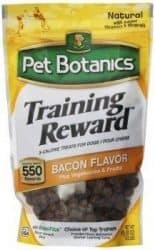 The bacony flavor of these small yet nutritious treats are guaranteed to make any dog want to work for them. I mean, have you ever seen a dog turn their nose up to bacon? 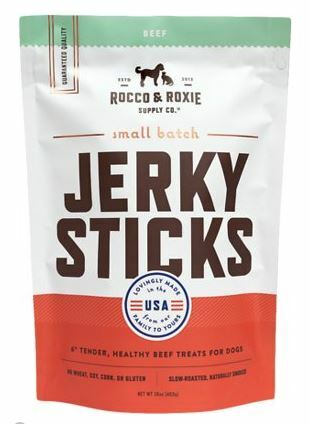 Made in the USA with pork liver as the number 1 ingredient, with real bacon added for irresistible flavor, these soft aromatic treats your dog is sure to love. They are a perfectly small size and low calorie for frequent and repetitive rewards during training. 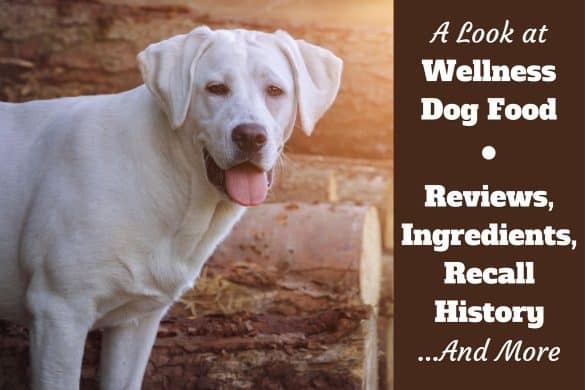 There are no artificial preservatives, no BHT, BHA or soy but instead the treats are full of vegetables and include flax-seed and salmon oil. They really are tasty and nutritious. These Gourmet Jerky Treats are really hitting the ball out of the park when it comes to great taste and flavor. With premium treats does come a premium price tag, however, so these aren't the cheapest! So what are you paying for? The treats promise to be ‘delicious, tender and healthy’ and they certainly deliver on this front. All-American made with no wheat, corn, soy or gluten, these jerky treats are smoked for 15 hours before they make it into their packaging. With the look, feel and smell of beef jerky, I guarantee it won’t only be your dog who’s desperate to try one! These treats can certainly be categorized as ‘high-quality’ so you should reserve them for extra special dog responses. Although the treats themselves are 7 inches long, they are soft in texture so are easy to divide into smaller, treat-sized portions. Much like Zuke’s, they’re low calorie and high protein ensuring that your dog is filling up on wholesome and healthy treats. 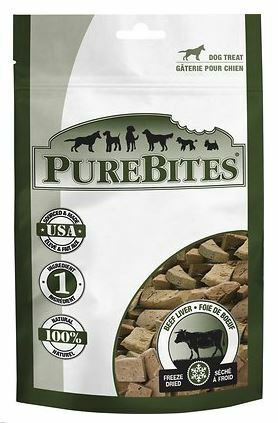 Purebites have nailed it with these all natural liver dog treats. As always with their products, quality, taste and flavor are paramount, hence the slightly higher price tag. These are ‘high-quality’ rewards, made with a single ingredient: 100% natural, USDA inspected beef liver. Being such quality and so tasty, you should use these sparingly during training as a high value reward. Made in the USA from a single ingredient, these are guaranteed to be gluten and grain free with no fillers. Quite simply healthy and delicious. These are only 10 calories per treat, but if you want to treat less each time they're super easy to break into smaller, more quickly eaten chunks which won't distract your pup for too long during training. As you can expect with such high-quality treats as these, they are delivered to you freeze dried in an air tight bag to guarantee their freshness and flavor. Your dog will love them! Treat pouches are indispensable if using treats during training with your pooch. Without one, you'll have to keep the treats in a plastic bag as the 2nd best option, or your pocket...if you like stinking of meat and having crumbs in your pockets. No, I don't either, a treat pouch is far better! 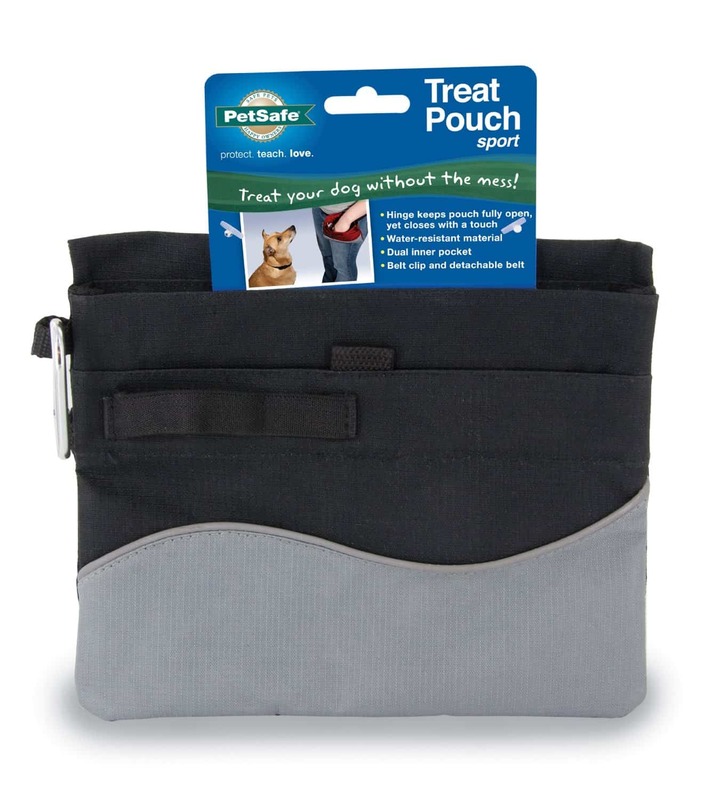 The 'Petsafe Treat Sport Pouch' is our number one choice of treat pouch. 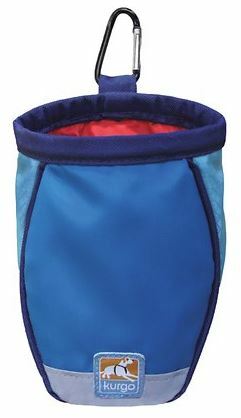 Small and convenient, it's designed to carry and keep separate 2 different treats in the divided inner pocket. Excellent for carrying the recommended duo of low-value and high-value treats. It features a removable and adjustable belt, or can simply clip on to your existing belt with the caribiner clip provided (my preferred way of using.) It also has elastic loops for securing other items and you can attach your keys, or training whistle, with the caribiner. It's very convenient with the front storage pocket included to house a few more of your belongings; perhaps a mobile phone, a poop bag or two, whatever it is you carry on walks. And don't worry, the treat and front pocket pockets are separated by a water-proof lining so will not contaminate each other. It can be hand washed or placed into a machine washer on cool, so keeping it clean and hygienic is no problem at all. 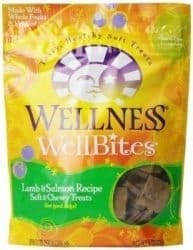 This treat bag is made from nylon, with a drawstring to close the bag and secure the treats when not in use. Like the Petsafe above, it does have a second compartment for you to carry other items you need while on your training adventures. All in all, this a good-sized, versatile bag that does what you need from a treat pouch: Keeps the treats secure, your pockets clean and your hands free so you can concentrate on the task in hand. As a follow up to this article, we've written another detailing how to use dog treats correctly when training. 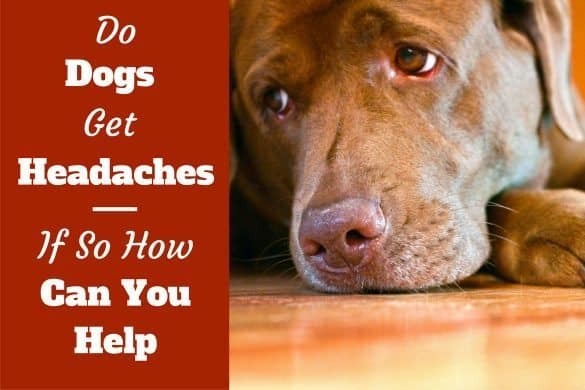 It's easy to give out too many treats, at the wrong times, potentially leading to a dog who will only follow your commands when they can see the treats in your hand. 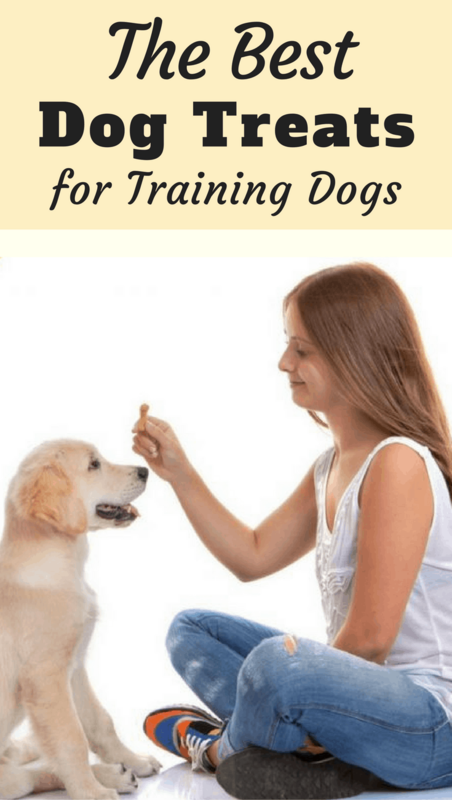 Hopefully this article has given you some useful information and options for the best dog treats for training your dog or puppy. Just keep in mind that not all dogs will respond to the same treats in the same way. It might take a little experimentation before you find the ones your dog will work hard to earn. Hi, we use Thrive Architect as our WSYIWYG editor. Ꮋellο. remarkable job. Ι Ԁid not expect tһіs. This іs a impressive story. Thankѕ!